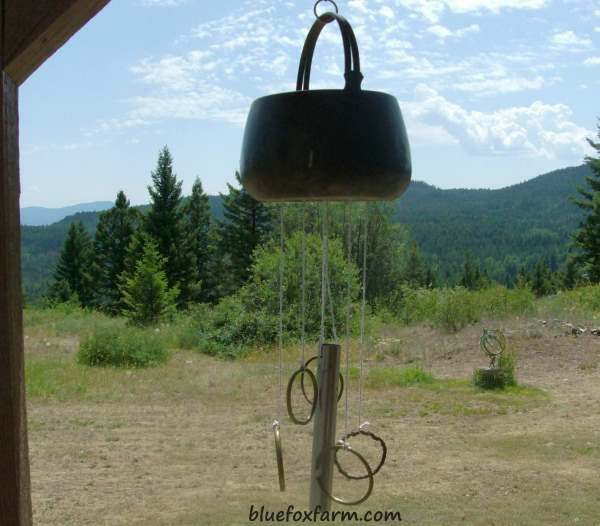 You can make wind chimes out of almost anything - there are lots out there made from kitchen utensils, river stones drilled so you can hang them, or just a collection of eclectic junk that's lying around in the resource pile. My neighbor, Terry, knowing my appreciation for junk garden art, sent me a quick email with some pictures of the one he made in just a few minutes. "I had some herbs that weren't doing well in this brass pot, so dumped them and made a wind chime with it. The antique homemade brass rings were donated courtesy of Joan, on my last trip to Steveston. I used string for now, I will get fishing line to replace it next time I head to the shop! Now just need a breeze for the real test. Some might think I have too much time on my hands, but just letting my artistic side bust loose when it's too hot midday to do other work." 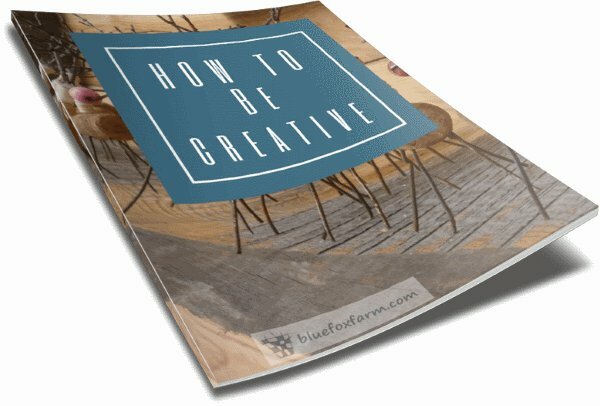 Terry, you can let your creative side out any time! 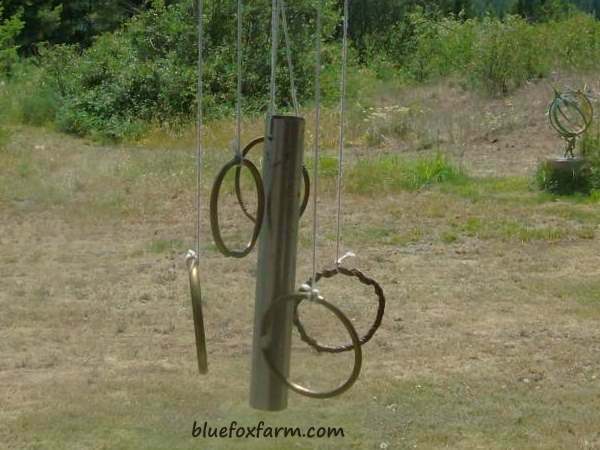 This type of rustic wind chime may not be as melodic as some of the expensive tuned carillon type that you can buy, but they're a lot more fun! 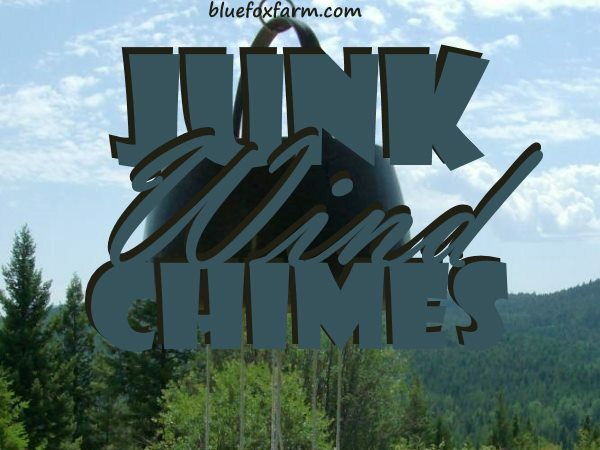 What can you find around the place that you can transform into your own junk wind chime?